Love Style's posted this video on Facebook the other day and I had to share it because it is so very true! When my father passed away I tried so hard to get through my grief, to get to the other side. And honestly I'd think I had gotten there and then I'd be slapped in the face with a new version of that same grief. How could my life be so "normal" when the ever large and loving presence of my father wasn't there? 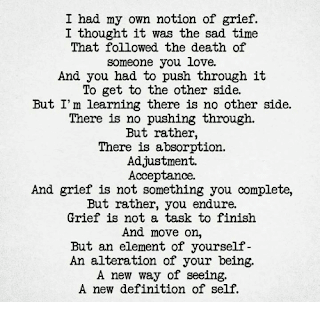 Sometimes those new versions of grief were harder to deal with than the initial grief. And so I'd start to accept that my dad was gone, that my children would learn of my father through my stories, my photos and my family but not through meeting him. That I'd be an orphan at 30 because my father was gone and no one could replace him. That I would have to keep him tucked in my heart and take his lessons of love and family and make them apart of me to ensure his legacy endured. Grief becomes apart of you, and how you respond to that grief is your own to control. 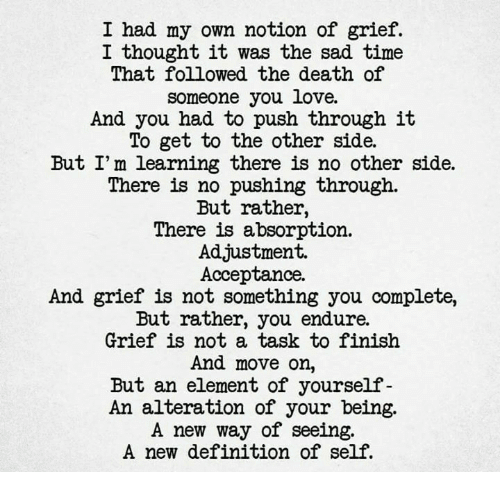 I didn't let my grief swallow me, but instead I let my grief lead me to a new way of honouring my lost loved ones through my actions with my loved ones that walk this journey of life with me. So Happy Birthday Dad, I know you are watching down on my, sometimes probably cursing and stomping your feet because I'm not doing it the right way, but knowing that I will get it right for my family and I that I am always making you proud!